Sign-up using the form or call us at 573-221-0915 to take advantage of this exclusive offer. 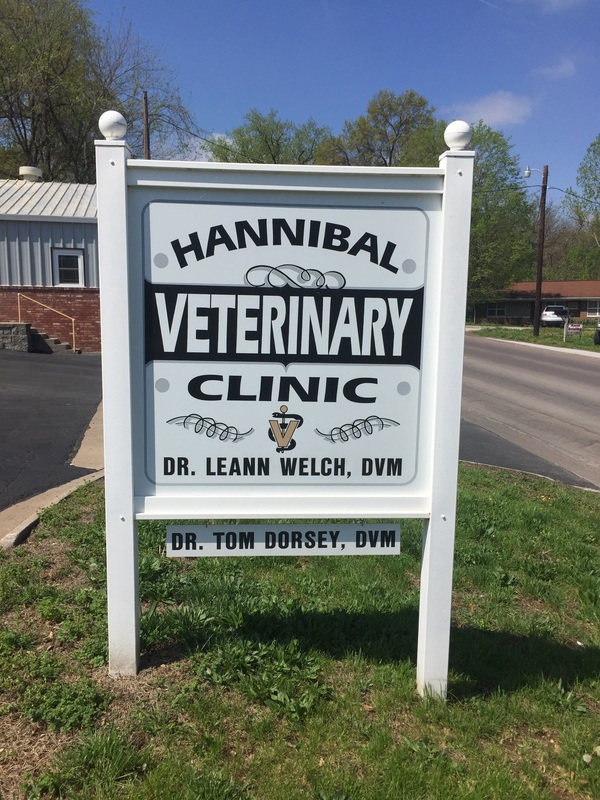 Hannibal Veterinary Clinic is a full-service small animal veterinary practice serving the city of Hannibal since 1985. Dr. LeAnn Welch and Dr. Tom Dorsey are experienced, licensed veterinarians that provide comprehensive wellness care, including vaccinations and flea and tick prevention, heartworm preventative care, advanced diagnostic services, and a range of surgical procedures. We also treat emergency cases both during the day and at night. Please call us at right away at 221-0915 if you think you have a pet emergency. We are excited to offer a number of resources that allow you to learn about how to take better care of your pets. Please feel free to browse our site, especially the informational articles. The best veterinary care for animals is ongoing nutrition and problem prevention. Becoming knowledgeable about animal preventative care is essential to the ongoing success of your pet’s health. Please feel free to call us anytime with questions you may have. You may also email us and we will promptly get back to you. You can find directions to our clinic on our Contact Us page! We also encourage you to subscribe to our newsletter, which is created especially for Hannibal pet owners. Please take some time to learn about our veterinary services and about why you should trust us with your pet’s health, now and for years to come. To schedule an appointment at our clinic, please call (573) 221-0915. At Hannibal Veterinary Clinic, we treat your pets like the valued family members they are. LeAnn was born and raised in Hannibal, MO and has always used Hannibal Veterinary Clinic for her pet care since she was a little girl. She knew she wanted to be a vet since she was 8 years old when she tried to save some little birds that fell from a tree. Animal care has always come natural to her. She graduated from Northwest Missouri State University with a pre-professional zoology degree in 2008. After that, she attended veterinary school at the University of Missouri- College of Veterinary Medicine, which she graduated from in 2012.